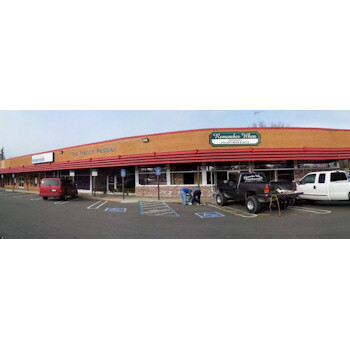 We are pleased to announce The New "Remember When" at our our location at 1031 West Orangeburg Ave at the corner of Orangeburg and College See Map.We are pleased to be a unique shopping destination serving the Modesto California area including Ripon, Salida, Riverbank, Oakdale, Ceres and Turlock. We are an Antique, Collectibles, Decorator and Gift mall with dealers carrying a wide range of Antiques, Collectibles and other unique decorator and fashion items sure to interest everyone. 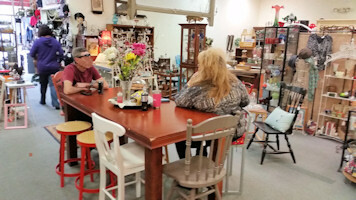 If you are looking for something special or just want to spend a little time looking at all manner of wonderful things please come check us out. 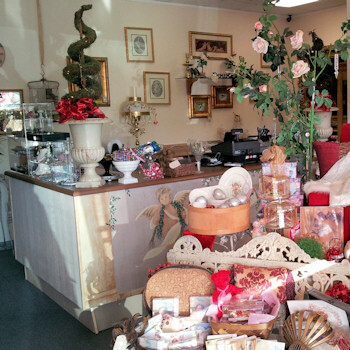 We feature Glassware, Furniture, China, Figurines, Shabby Chic decorator items and much more. Check our relaxing shopping section below to see how enjoyable a browse through the mall can be Relaxing Shopping. We have expanded our relaxing shopping experience by providing a complementary glass of wine for shoppers on Mondays through Fridays. The complementary wine is available after 11:00 on weekdays. Our Parking Lot sales give you a chance to see dealers and get to see some of their merchandise that does not fit in the mall. Our Spring parking lot sale will be Saturday April 13 from 9:00 to 4:00. We have openings for outside dealers interested in selling merchandise at the Parking Lot sale on September 8. If you are interested in selling please contact us. Spaces are $25.00. 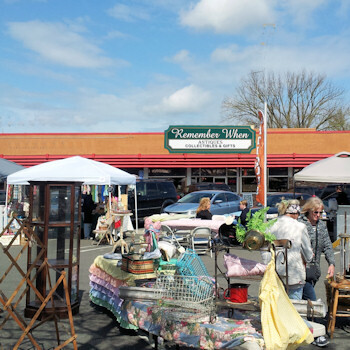 Dealers will need to bring your own tables, display cases and awnings. We have openings if you want to become a dealer in the mall. 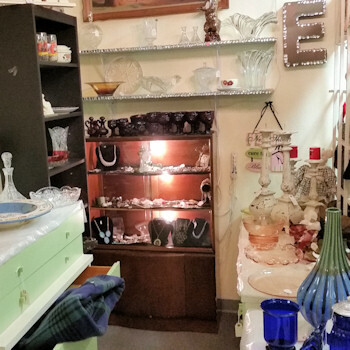 We carry a wide range of merchandise including antiques, collectibles, decorator items and much more. If you want to become a dealer please contact us or see the "Becoming a Dealer" page. Our dealers carry a wide range of special and unique items. The list is truly too long to document. Mall Merchandise Overview If you do not see what you want on the list you should still come in and check us out. There are so many items and the merchandise is changing so fast any list would be out of date before you could finish reading it. What's New at "Remember When"
We are pleased to announce that Tuesdays are now Senior Citizens Discount day. All senior citizens will receive a 10% discount off of regularly priced merchandise on Tuesday. 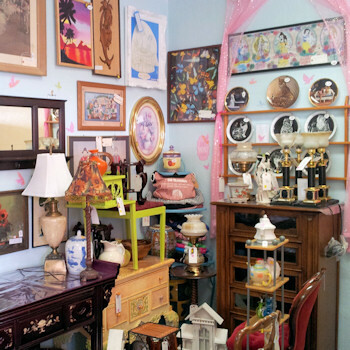 Don't forget that Remember When can help you run an estate sale if you have an estate you need to dispose of, need to downsize or just want to have a sale to declutter your house. 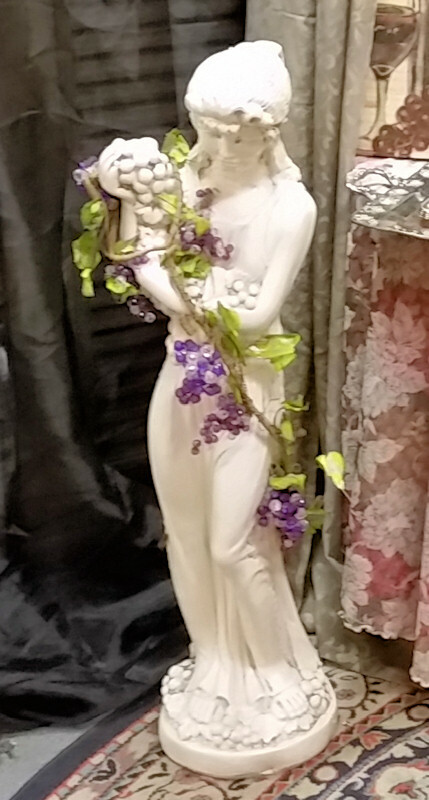 Our next estate sale is scheduled for Thursday Friday amd Saturday April 18 - 20, 2019. The sale will run from 9:00 to 4:00 each day. 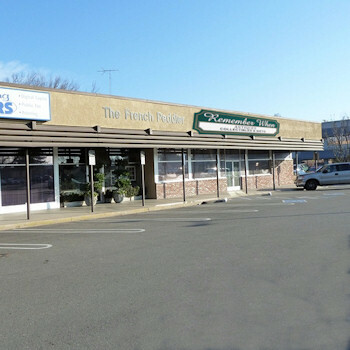 The sale is located at 6537 Ramblewood Drive in San Jose. House is loaded with wonderfull designer pieces. We will be accepting credit cards with a 3% Fee.